In addition to being much more comfortable for the patient, using the scanner allows us to be more efficient and accurate, which can result in a reduced number of visits to the office, saving the patient time. CEREC® is a method used by thousands of dentists worldwide since 1987 not only to replace worn or damaged fillings, but also to restore any tooth that is decayed, weakened, broken, etc. to its natural strength and beauty. Better yet, it’s done with all-ceramic materials that are tooth-colored in a single appointment! The CEREC® Acquisition Unit is mobile and houses a medical grade computer and the CEREC® scanner. 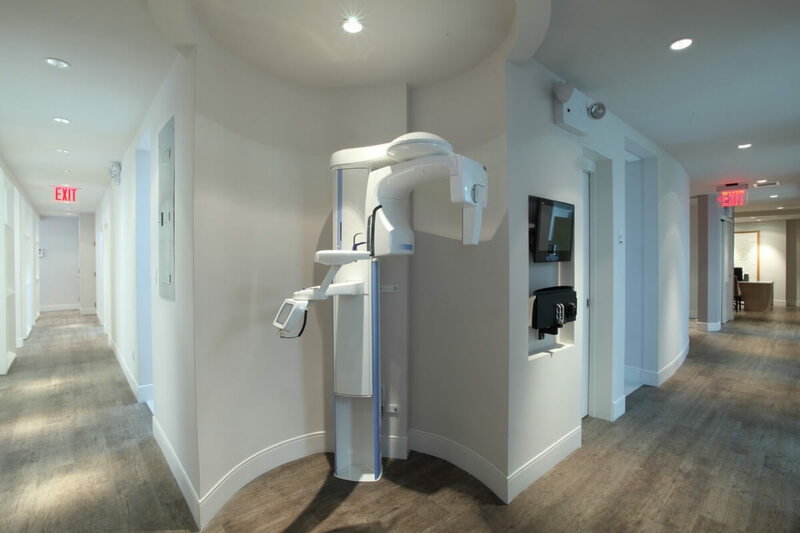 Your dentist uses the scanner to take a digital image of your prepared tooth. This means no impression tray and no goop for you to gag on. The computer and CEREC® 3-D software converts the digital picture to a three-dimensional virtual model of your prepped tooth. Your dentist then designs your restoration right on screen using the software while you wait (and watch!). The data from the Acquisition Unit is sent to the milling unit and used to carve the block of porcelain into the indicated shape of the restoration. After the milling is finished, your dentist polishes the finished filling or crown and bonds it into place. These monitors are found next to every patient chair. Patients can watch a movie or TV show. Patients can also view their dental radiographs when speaking to the doctor about the findings for a better understanding of their oral health. Patients can bring their own headphones to enjoy music and programs during their visit.